about — Elements by K.H & co. Elements by K.H & co. is a full service destination management firm, curating high-end customized weddings, corporate functions and social events in exclusive destinations by combining strategic branding with impeccable service, flawless production and elegant design. Our events are masterfully designed and orchestrated down to the smallest detail to reflect the client’s vision. Whether working with a product, a charity, a bride and groom, an entrepreneur, a fellow event designer or a location, our work translates into memorable experiences for clients and their guests that integrate the finest food, wine, cocktails, entertainment, innovative design and above all else, customer service. Elements is driven by a team of professionals whose passion is to not only create beautiful events, but to provide clients and their guests with a unique and memorable experience. To us, it is about the painstaking project management and workmanship that takes place to make even the smallest detail shine, leaving the client confident in knowing that everything is taken care of. Elements is one of the few companies whose team conceptualizes, designs, plans and executes all the key elements and logistics down to the last detail. We are your one-stop shop for envisioning and executing your special day. Elements is honoured to be the preferred event coordination and production partner of Haiku Mill - Maui’s premier world-class historic venue. The driving force behind Elements Luxury Events is its founder, Kimiko Hosaki. Her ambition, determination and uncanny business savvy have resulted in an impressive catalogue of achievements and a wealth of experience amassed over a relatively short amount of time. They are also the attributes that form the foundation of Elements Luxury Events and its parent company, K.H & co., and are the reason why she so easily transcends a range of sectors. Her aversion to being pigeonholed is what separates her from the masses. As an event manager with over 15 years under her belt, Kimiko believes that the key to success lies in the bigger picture - understanding a company’s brand and overall objectives, or a bride's vision, and building from the ground up to create the ultimate experience. This approach is not only applied during the planning process, but during the event’s execution as well, including real-time issues that require on-the-spot problem solving. It is crucial to ensuring success and has delivered results for a variety of high-end clients, representing some of the world’s top brands, who demand perfection. Her past roster of esteemed clientele and luxury brands include F1 driver Jenson Button, actors Tim Robbins, Mickey Rourke and Rachel McAdams, pop star Rihanna, luxury champagne brands Dom Perignon and Veuve Clicquot, as well as Hennessy, Belvedere, and Ardbeg. Throughout it all, Kimiko’s confidence, professionalism and calm, friendly demeanor put her clients at ease. No task is impossible, no challenge too stressful and no crisis unmanageable for Kimiko. Shelby Carlson developed an understanding of production at a young age. Her parents directed musical and theatrical performances that were attended by thousands each year. As a result, she was constantly immersed in a world of creativity and became familiar with the strategy, timelines and execution of productions. It was during these early years of her life that she learned the value of putting in hard work behind-the-scenes to reap beautiful and rewarding results. This approach continues to drive her professionally to this day. During Shelby’s university years, she worked at award-winning restaurants where she developed a passion for hospitality and a desire to create exceptional experiences for people. Here she gained interest in using her experiential background in production and hospitality, along with her education in business and communication principles, to become an event professional. Under the guidance of Kimiko Hosaki and Lindsay Miller, Shelby has refined her skills of timing and execution to produce flawless events for her clients. 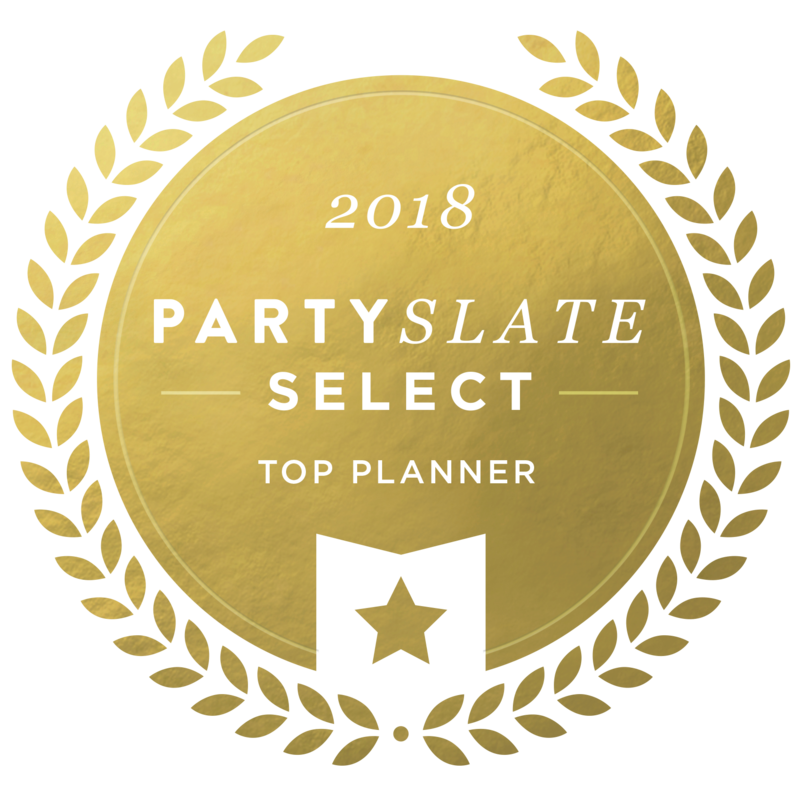 In addition, Shelby works with potential clients in the early stages of planning to help create their vision and determine the logistical requirements needed to bring their event to life. Her passion for providing extraordinary customer service is the foundation for her role in client relations with Elements. Lindsay Miller combines extensive experience in hospitality, project management, design and execution (a combined 30 years) to bring a unique and unrivalled approach to overseeing events. Her keen understanding of all facets of the industry, as well as her commitment to timelines and perfect execution, ensure that the many moving parts of an event work cohesively and flawlessly. The results speak for themselves – exquisite events that have caught the eye of some of the top wedding influencers in the world, including Flutter, Green Wedding Shoes, The Knot and Style My Pretty. Lindsay was raised on Maui, where she continues to reside and practice her craft. Years of cultivating relationships on the island make her a trusted and respected colleague and partner with many local businesses, putting her at a distinct advantage over the competition.